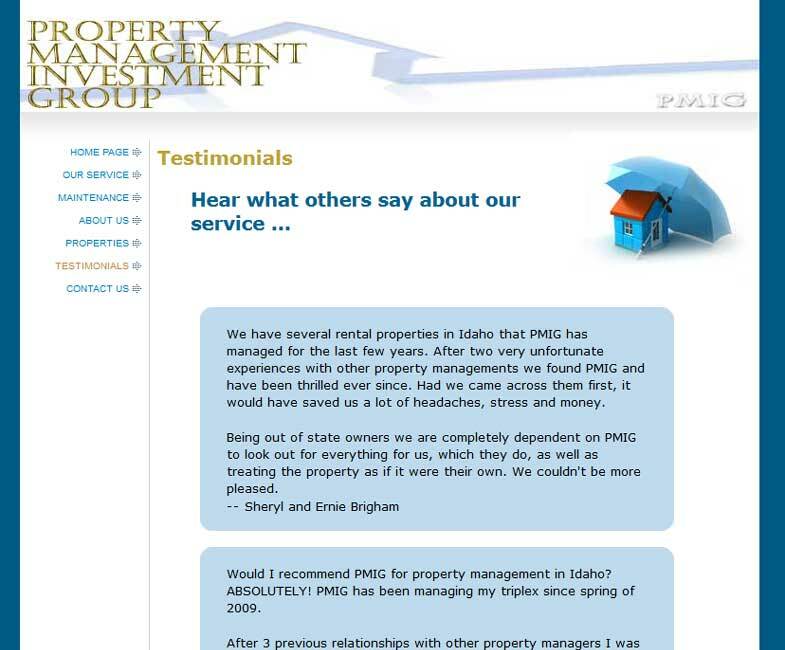 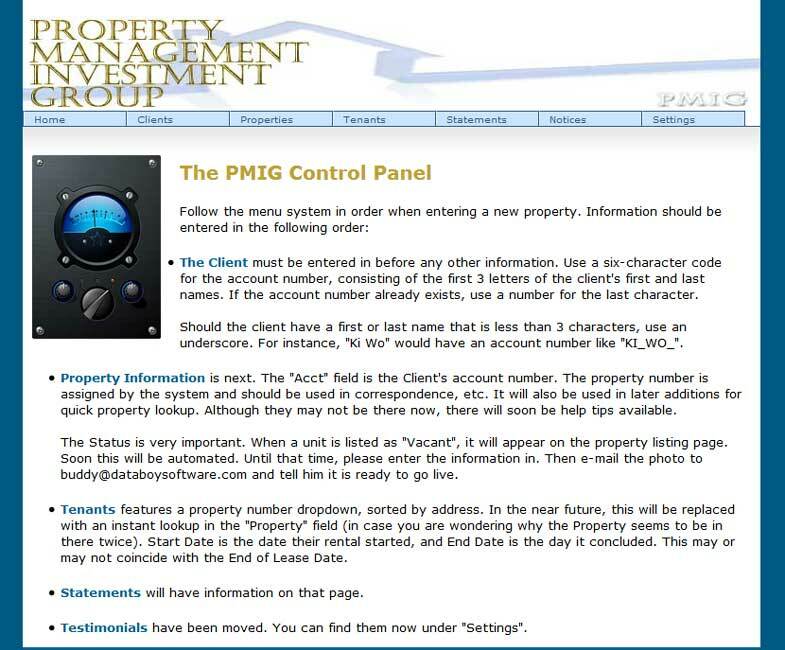 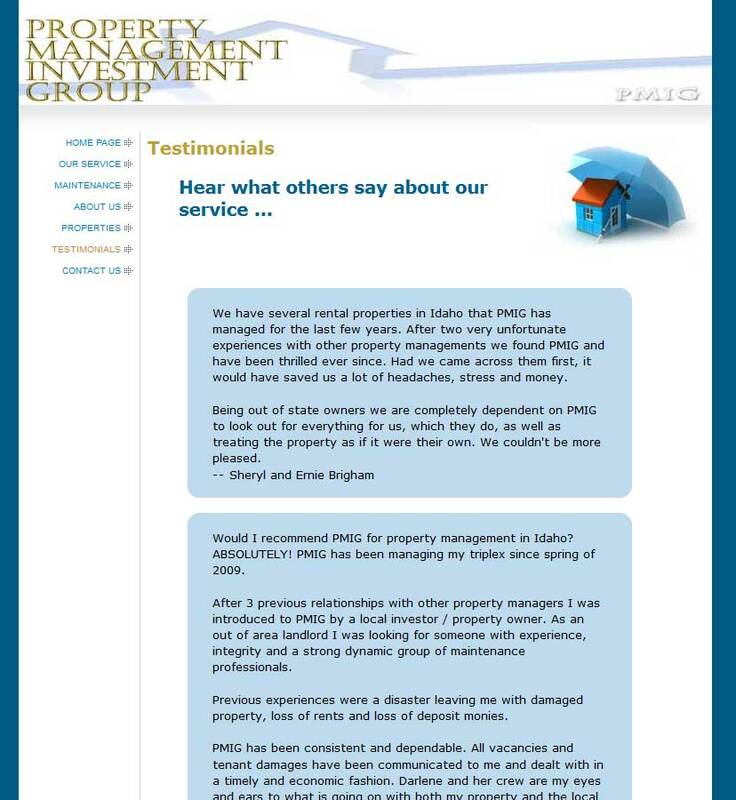 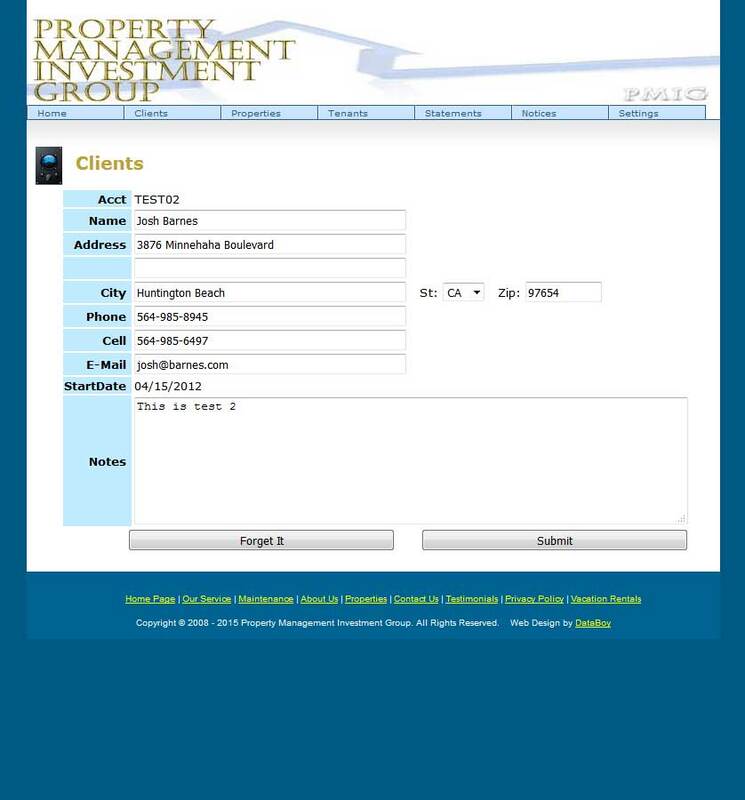 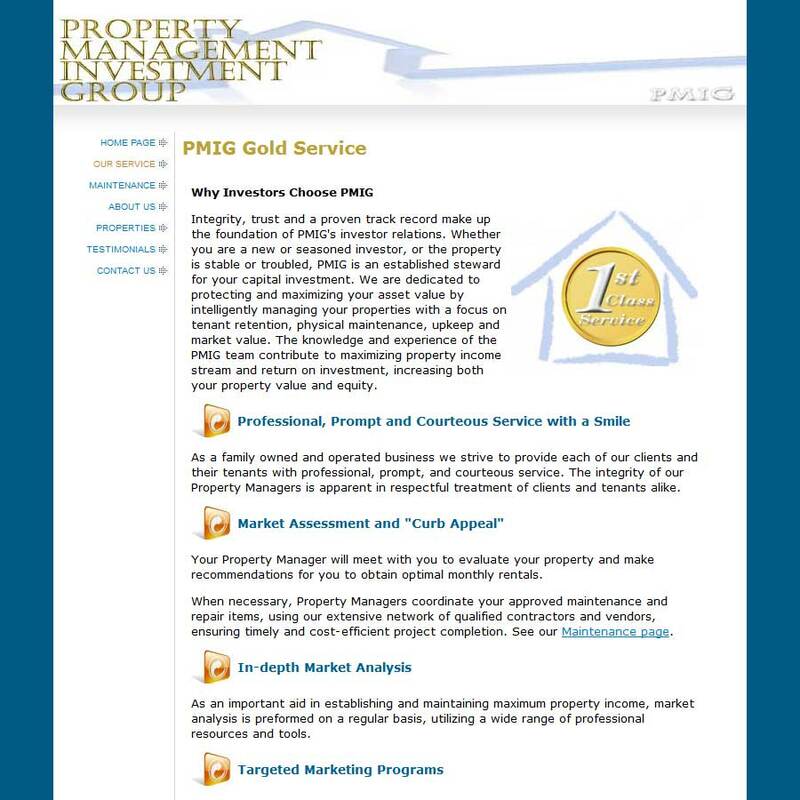 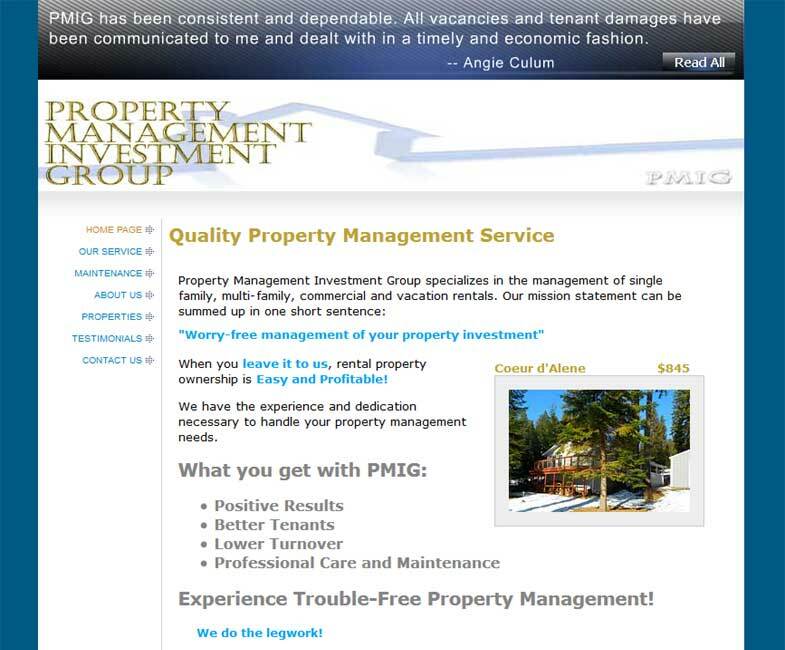 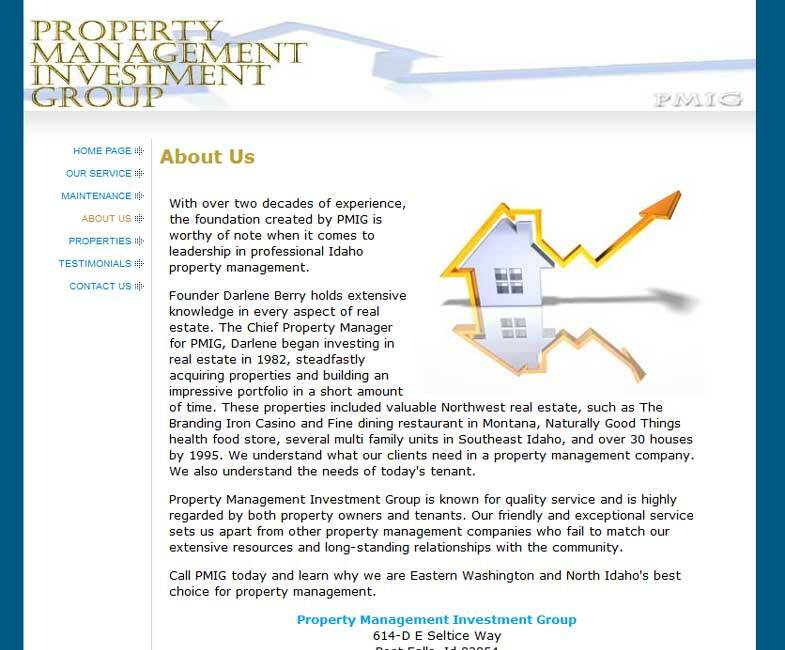 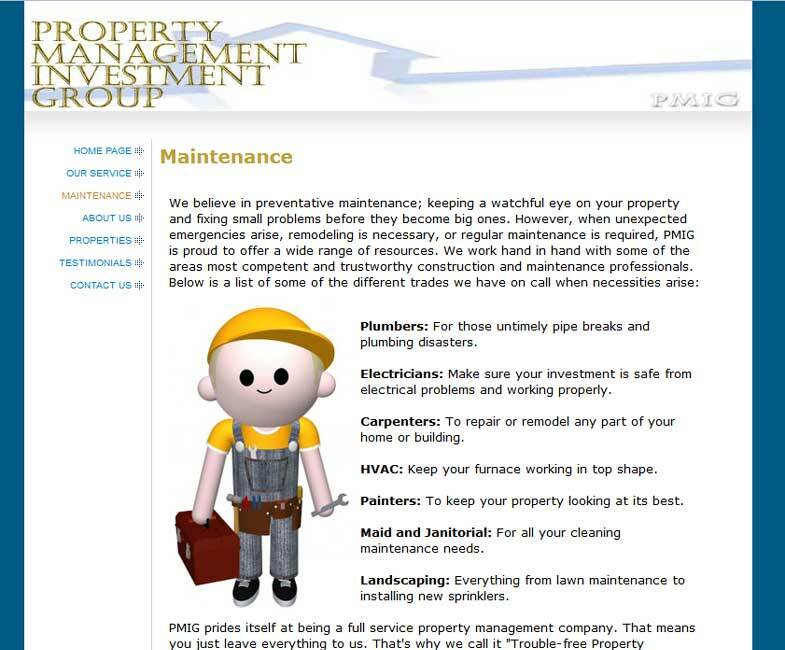 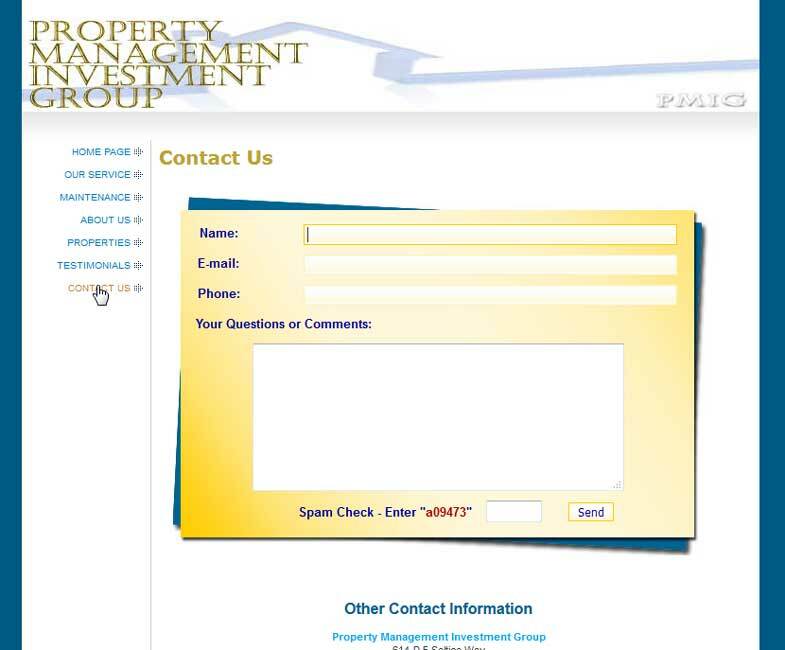 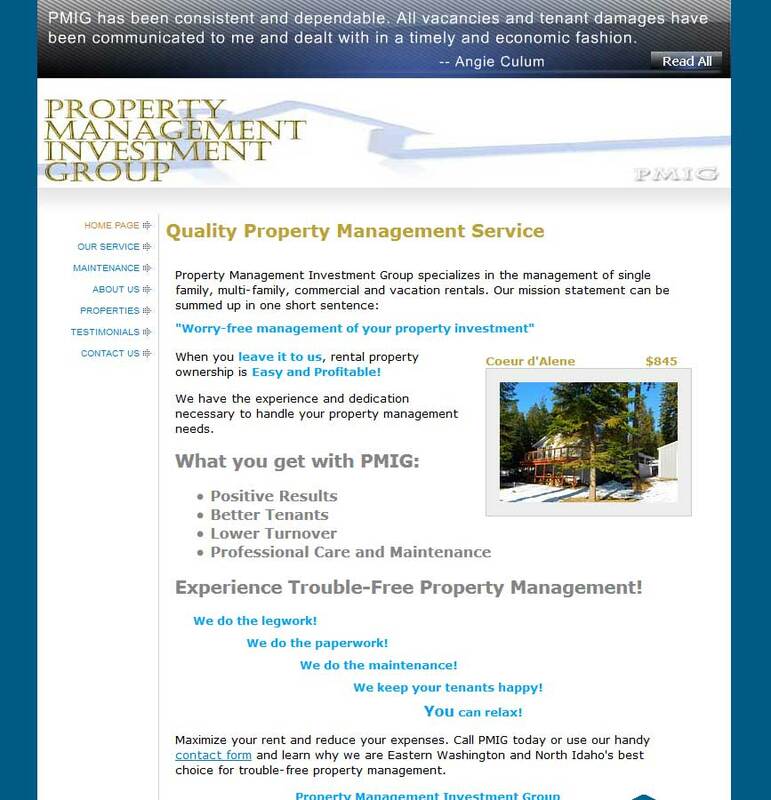 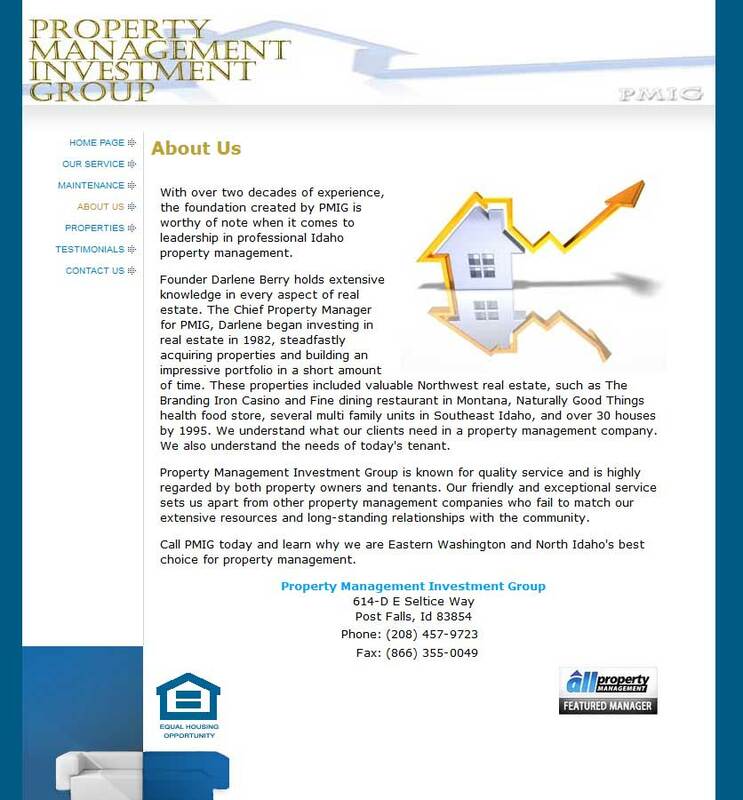 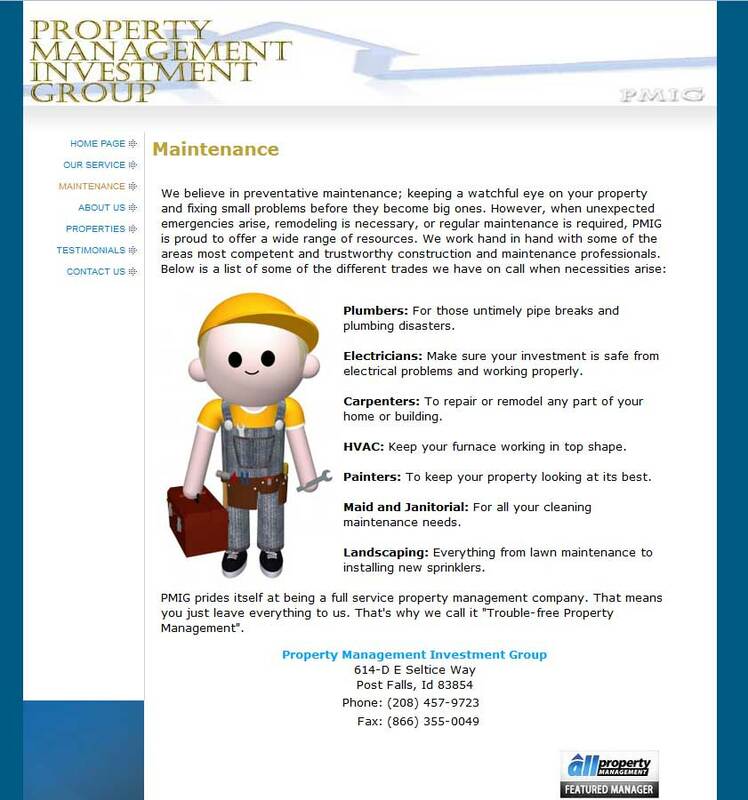 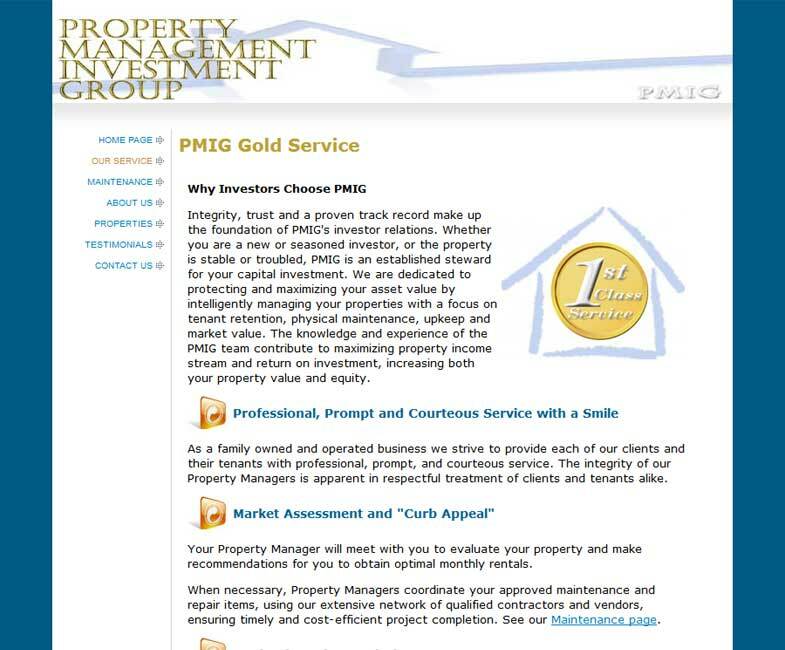 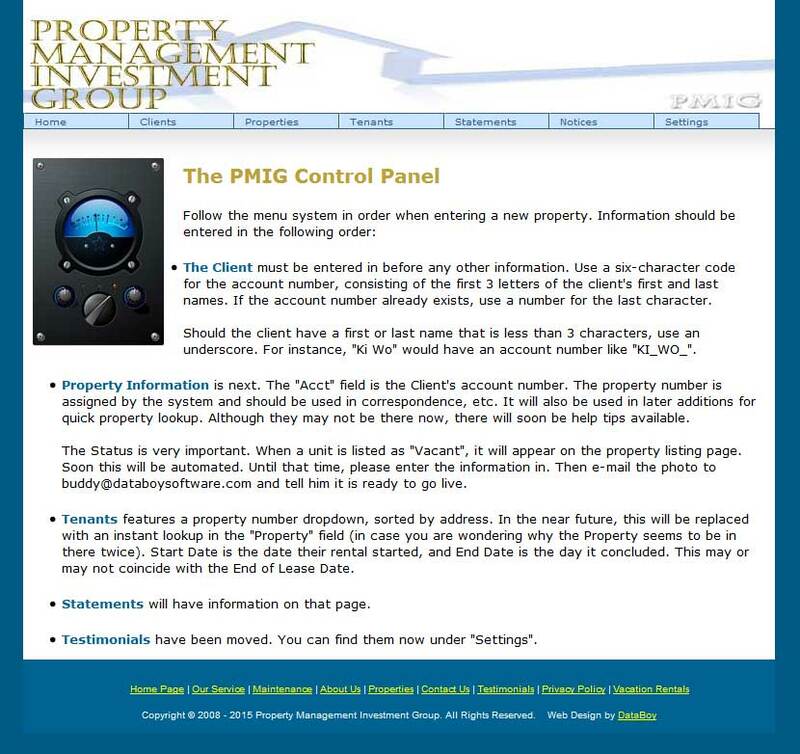 Property Management Investment Group needed a site that was "to the point", yet detailed enough to express the services they offer and provide a view of the company and its' origins. 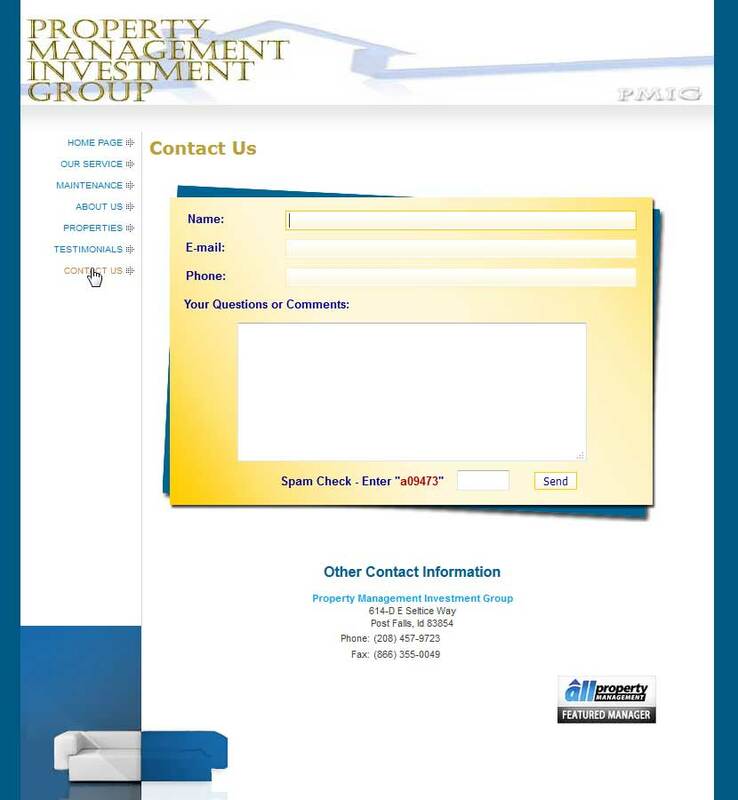 This site, written almost entirely using CSS (Cascading Style Sheets) and HTML, will load quickly - even on a dial-up connection. 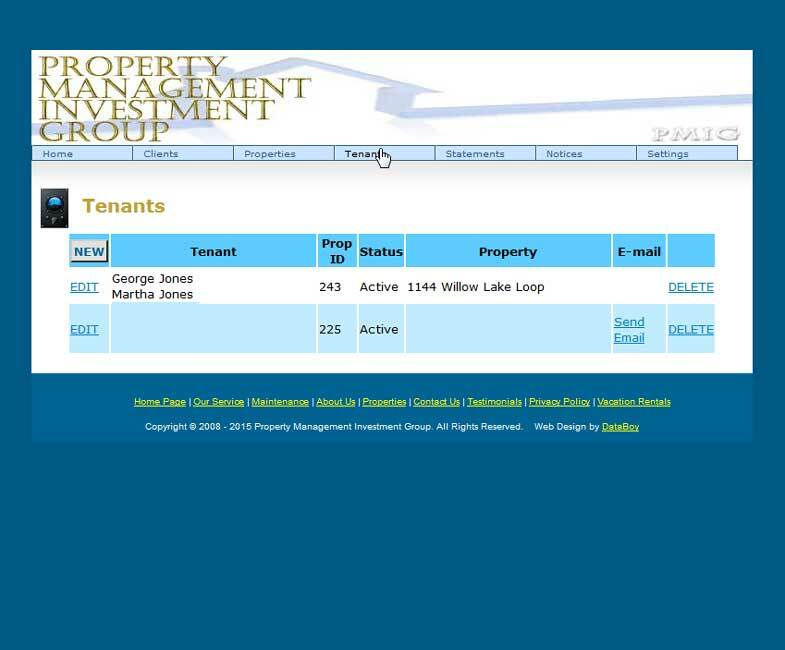 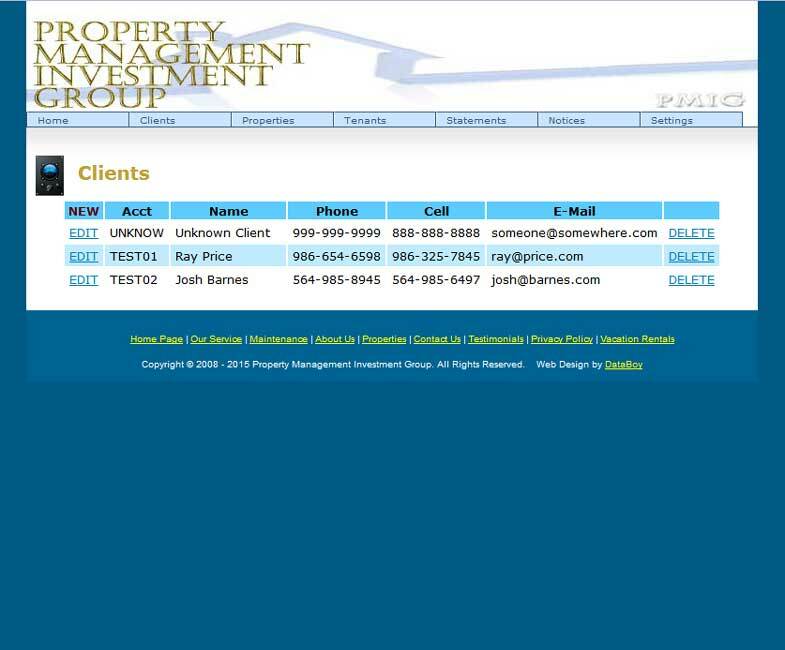 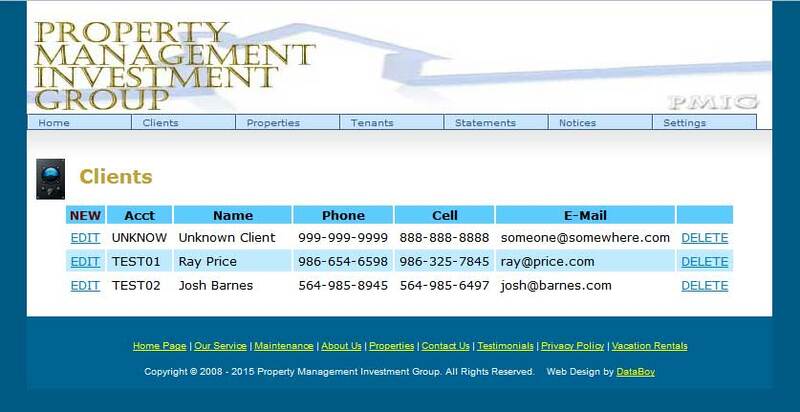 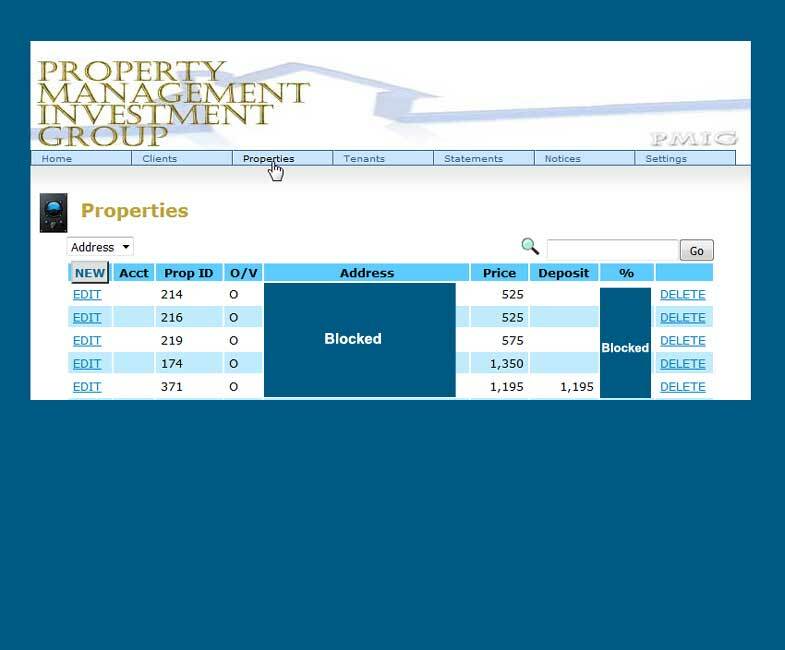 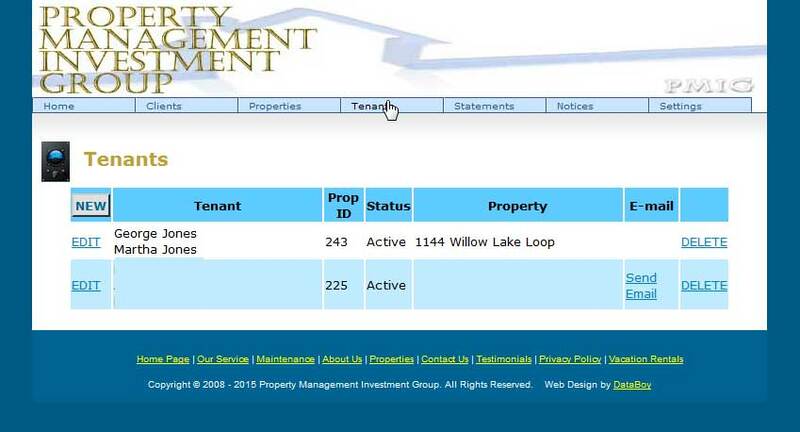 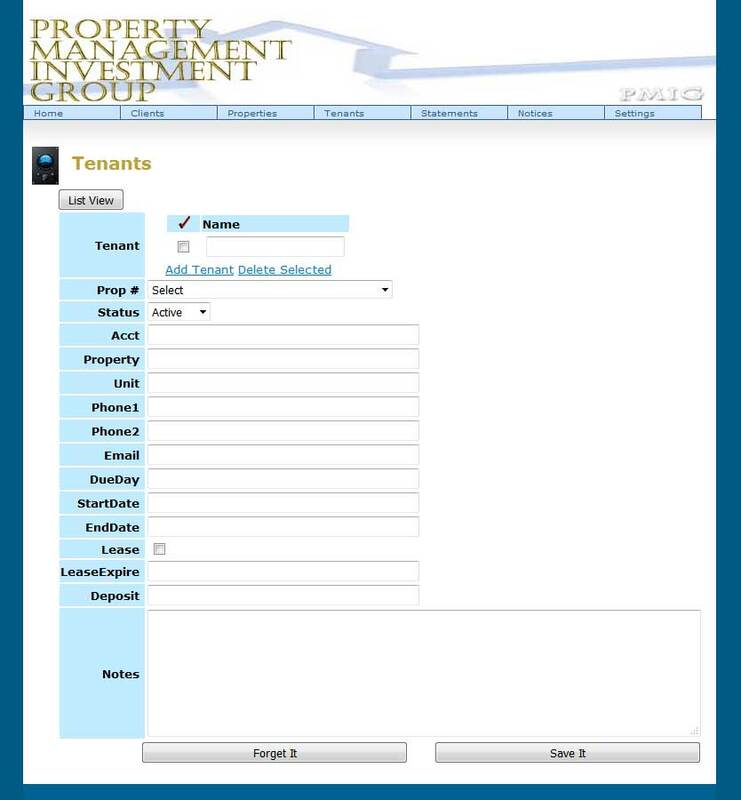 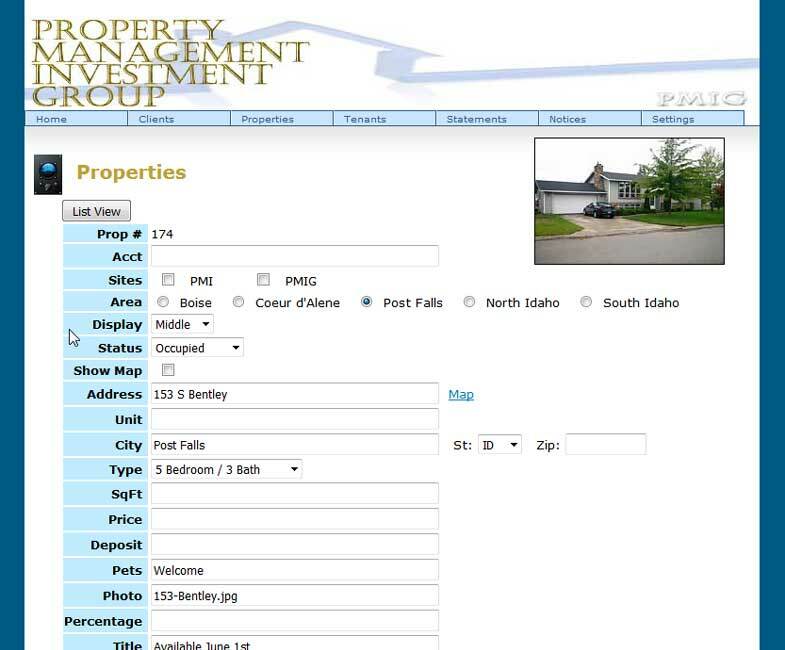 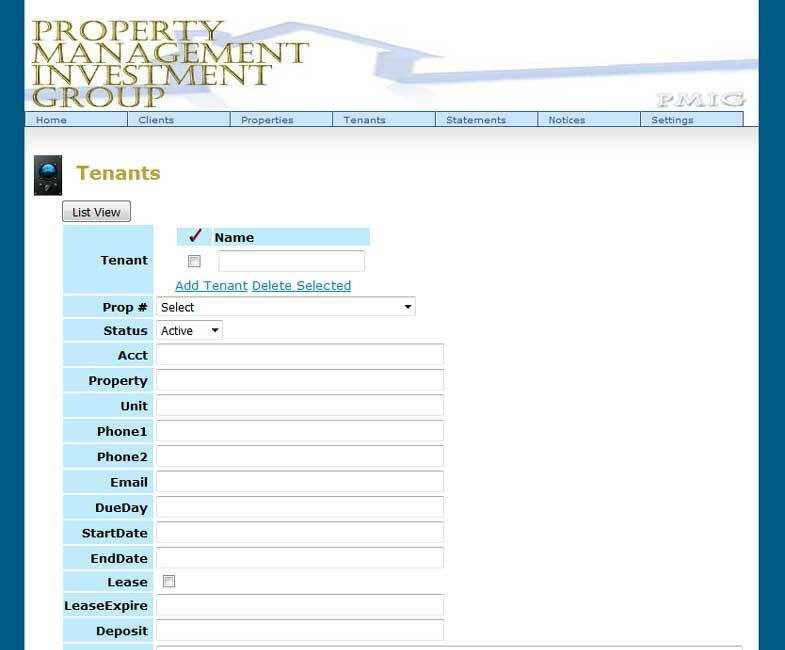 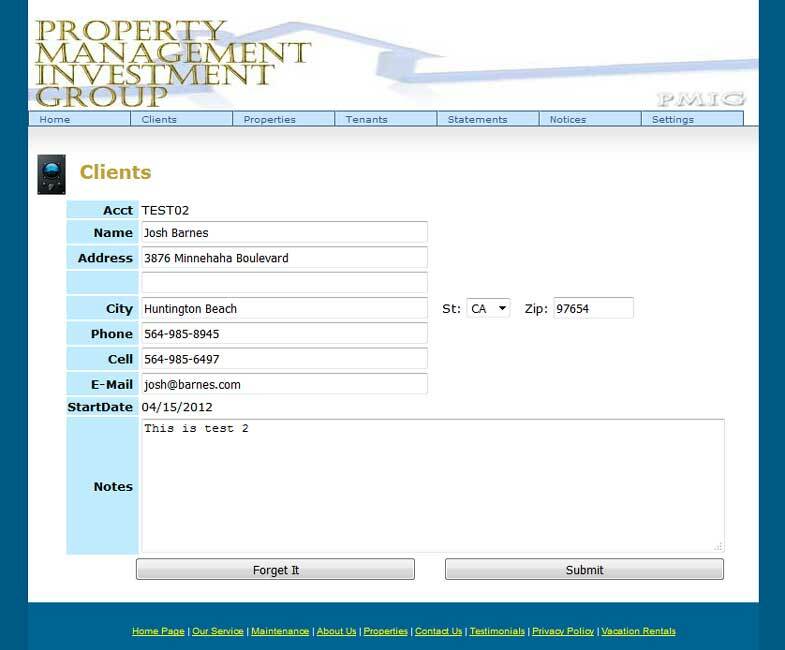 A "Properties" page lists available rentals, which are also displayed singularly on the Home page. 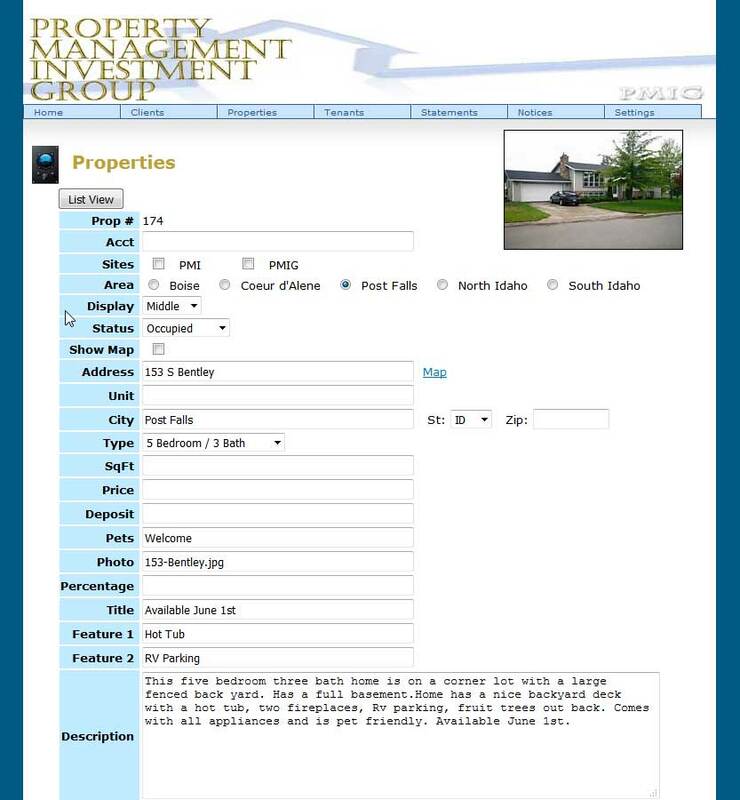 The site features a back-end, which allows the company to add listings, upload photos, and keep track of their customers and rentals.